Sunlight is free. Imagine if going solar were, too. With no upfront costs, you could start saving on your electricity bill from day one. The benefits of going solar are arguably one of the smartest ways to separate from increasing utility rates, allowing you to save money and the environment at the same time. “We promise to lower your electric bill or we’ll give you $500 for your time*” *must qualify for federal tax incentives Take a look at some additional benefits of going Solar you may not have known about: FEDERAL TAX CREDITS The Government allows you to take 30% of the total cost for solar off of your Federal taxes! So if your system costs are $30,000, you get a $9,000 credit. This further reduces the cost of solar and truly maximizes savings. OTHER STATE & UTILITY REBATES In addition to the Federal Tax Credit, many states and even local utilities offer various incentives as well as rebates when you go solar. Certain states give up to an additional $1,000! INCREASED HOME VALE A report published in the Renewable Energy Focus shows that solar increases the value of your home by an average of $4 per Watt. LOCKED IN RATES & HUGE SAVINGS With solar, you receive a lower rate compared to kilowatt and that rate is locked in and never increases. This means you see savings in most cases right from the first month and those savings compound into tens of thousands over the years. MONITORING INCLUDED All solar packages have daily monitoring included. You’ll never be in the dark when it comes to knowing how your system is producing on a day by day basis. The monitoring software loads onto any device and you can quickly see panel level production levels, shading, and if any issues are apparent. 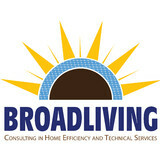 BroadLiving’s mission has been to empower commercial and residential markets with a clean energy choice by spearheading in the solar revolution. We provide energy, roofing, electrical upgrades along with financial solutions for homeowners, and business owners in 15 plus states. Backed by our partners who have a combined 30 plus years in the renewable energy industry. The Solargy team are highly dedicated to making clean renewable energy more common. The team of professionals has experienced hundreds of installations all across the globe and has installed solar systems on residential and commercial properties and they are very passionate about installing more systems in order to improve the quality of life. The company began operation in 2008 in California and was one of the first companies to install solar systems. Afterwards Solargy was sent to the Middle East to install solar systems and to prepare and guide other companies for the important task. After over 10 years of experience the company has gained a lot of knowledge in the solar field. As of now Solargy is located in Las Vegas, Nevada and accompanies customers who decide to go solar from the initial to the final stages while maintaining professionalism, reliability and courtesy. The Solar Digest is an active blog whose mission is to inform and educate consumers about solar energy, installations of solar panels, and benefits of using solar energy. Sun is one of the greatest resources we have at our disposal. However, mankind has not really been effective and punctual about harvesting solar energy. Awareness about the benefits of solar energy and its contribution in reducing the carbon footprints is essential today. The Solar Digest is doing its best to serve this mission of awareness with informative articles which are updated religiously on our website. We cover a wide array of topics related to solar energy and solar panel installations. 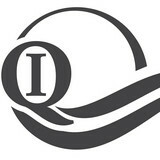 Our blog is an essential reader’s hub for every environmentally conscious citizens and home owners who are considering solar panel <a rel="nofollow" target="_blank" href="http://energyechoes.com/need-know-hiring-solar-panel-installation-company/">http://energyechoes.com/need-know-hiring-solar-panel-installation-company/</a> installations. A few examples of our article topics include: What You Need to Know About Solar Panel Installation Companies, How to Install Solar Panels, How Much Does Solar Installation Cost? Our articles can help any person who is serious about installing solar panels to harvest energy and electricity. The articles are written by industry experts who deal with solar panel installations on a regular basis. Take a look at our informative articles on our well-designed, categorically arranged website. Visit us at <a rel="nofollow" target="_blank" href="https://thesolardigest.com/">https://thesolardigest.com/</a> and <a rel="nofollow" target="_blank" href="https://thesolardigest.com/category/about-solar/">https://thesolardigest.com/category/about-solar/</a>. We provide solar energy needs in Henderson and surrounding locations. Call for an estimate today! A university that pays students for education. We are a university free to those in search of learning about solar technology marketing and sales, our consulting programs teach our students to design a solar system for a home or business, calculate savings and returns on investments, once a student graduates we give them the opportunity to then start marketing in-house and earn an income immediately. Whole Home Energy Efficiency General Contractor specializing in Solar Thermal applications. SunPower by Renewable Energy Electric Inc. Interested in creating renewable energy for your property through solar panel installation? 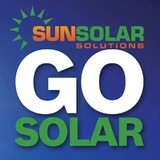 Based in Las Vegas, SunPower by Renewable Energy Electric Inc. offers viable, cost-effective, and efficient solutions. Their company strives to power the local community in the most economic manner possible, providing solar panel options for both commercial and residential properties throughout the surrounding areas. Their licensed roofing and electrical professionals can discuss your project with you and review your options when you reach out to them today. Their goal is to make going solar as painless, simple, and easy as possible for you. Solar panels can help you save money and provide more renewable energy for your entire property. Time to learn more? Give SunPower by Renewable Energy Electric Inc. a call today at (702) 919-7239. We manufacture and distribute renewable energy related products and components. The most cost effective combination of mature and emerging state-of-the-art hybrid renewable energy solutions are utilized. Let’s say you want a solar electric system for your home. An off-grid system basically consists of solar panels and battery banks. These battery banks store the sun’s energy so you can use electricity at night or on a cloudy day. This system is designed to keep household electricity running for about two or three cloudy days; longer cloudy periods require a backup generator. To install an off-grid system, you’ll want to hire a certified Nevada solar energy contractor. Along with off-grid solar, wind and hybrid energy systems that include batteries and backup generators, there are also grid-tied solar and wind operations. Grid-tied systems are attached to your Las Vegas, NV utility company so if you produce more energy than you use, your meter goes down and you build up energy credits. Can you give me any information on Nevada solar rebate programs? 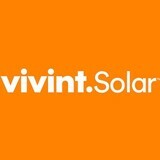 Find solar energy contractors in Las Vegas, NV on Houzz. Search the Professionals section for Las Vegas, NV solar energy contractors or browse Las Vegas, NV photos of completed installations and look for the solar energy contractor’s contact information.